An award-winning journalist shows how workplace diversity initiatives have turned into a profoundly misguided industry-and have done little to bring equality to America's major industries and institutions In the near future, white Americans will no longer constitute a national majority. Despite this, elite institutions such as Hollywood, corporate America, and academia are disproportionately white. In an effort to "diversify," industry and foundation leaders have pledged hundreds of millions of dollars to commission studies and training sessions; hire consultants and create diversity programs to address the glaring paucity of people of color among their ranks. But is it working? In Diversity, Inc., award-winning journalist Pamela Newkirk explores these three industries, showing how the vast majority of their diversity efforts are all optics. For example, between 2014 and 2016, Google spent $265 million dollars on some of the most common tactics for diversifying the workforce, but their percentage of black employees remains stubbornly at 2%. In showing why these efforts are failing, Newkirk more importantly shows us what we can do to actually better achieve these worthy goals. 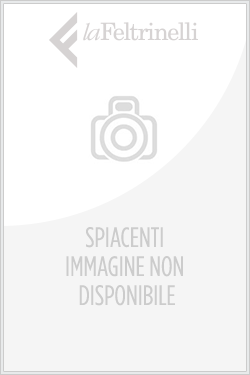 Acquista Diversity, Inc. in Epub: dopo aver letto l’ebook Diversity, Inc. di Pamela Newkirk ti invitiamo a lasciarci una Recensione qui sotto: sarà utile agli utenti che non abbiano ancora letto questo libro e che vogliano avere delle opinioni altrui. L’opinione su di un libro è molto soggettiva e per questo leggere eventuali recensioni negative non ci dovrà frenare dall’acquisto, anzi dovrà spingerci ad acquistare il libro in fretta per poter dire la nostra ed eventualmente smentire quanto commentato da altri, contribuendo ad arricchire più possibile i commenti e dare sempre più spunti di confronto al pubblico online.